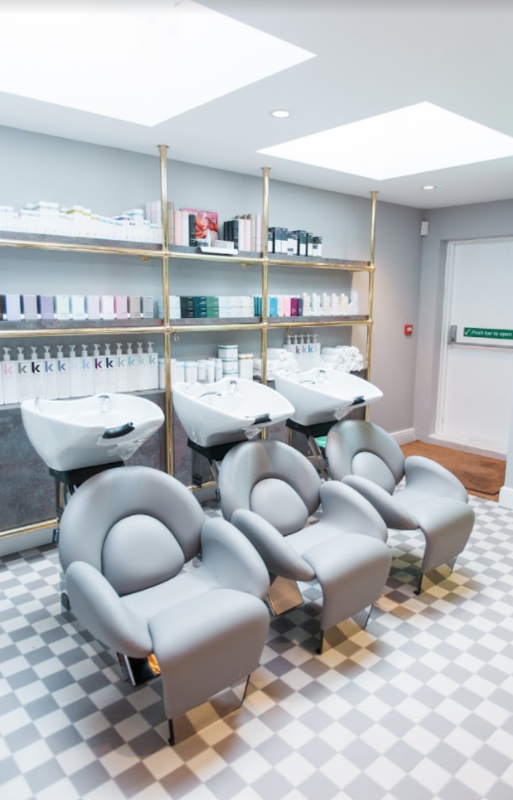 We love discovering hair and beauty salons that express themselves through a distinctive interior aesthetic. 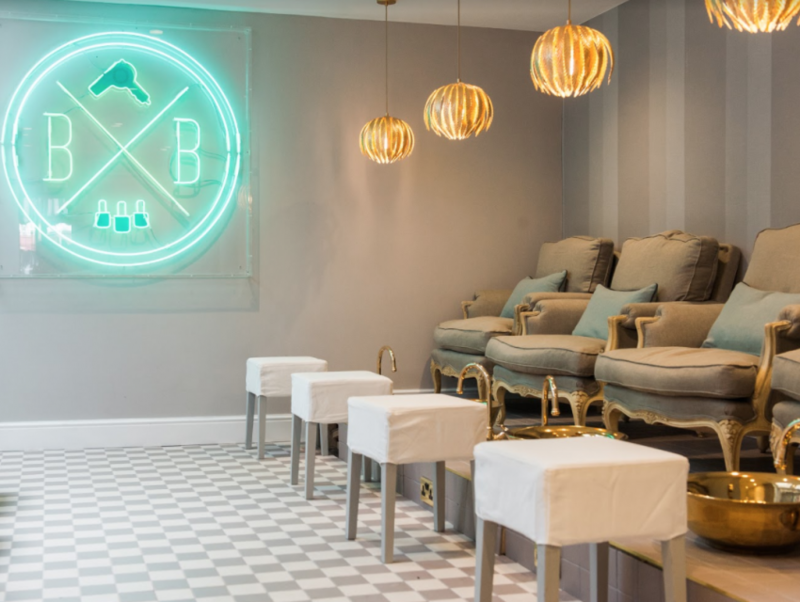 Voted ‘one of the most Insta-grammable salons’ by The Telegraph, this month we caught up with Blush & Blow founder Bridgett O’ Keeffe to discover more about the inspiration behind her salon as well as her thoughts on the business of beauty. 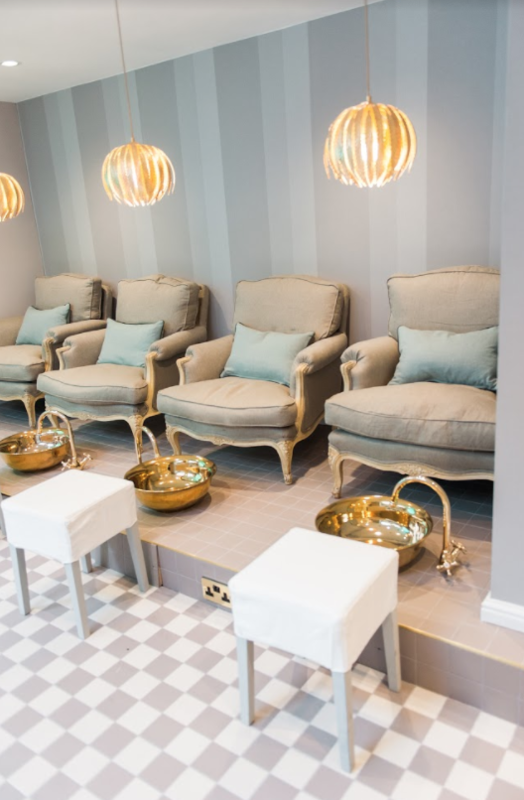 What was the inspiration behind your salon interior? I wanted every guest to feel as though they were being hosted by me in my home. I love the grey tones and brass accents and the loo, my favourite space, is absolutely how I would decorate my own space. I wanted every Blush+Blow client to have a personal experience, one that was as far away from the generic, chain store environment. What do you think are the attributes that make a successful salon? I think that it’s a combination of incredible atmosphere, great service, technical excellent treatments and good price points. What inspired you to start the salon and how has the business evolved? I saw a gap in the market. That and my love for blow dries meant that it was an obvious next step in my career. We are constantly listening to clients and giving them what we hear them ask for, even if they don’t say it in so many words. 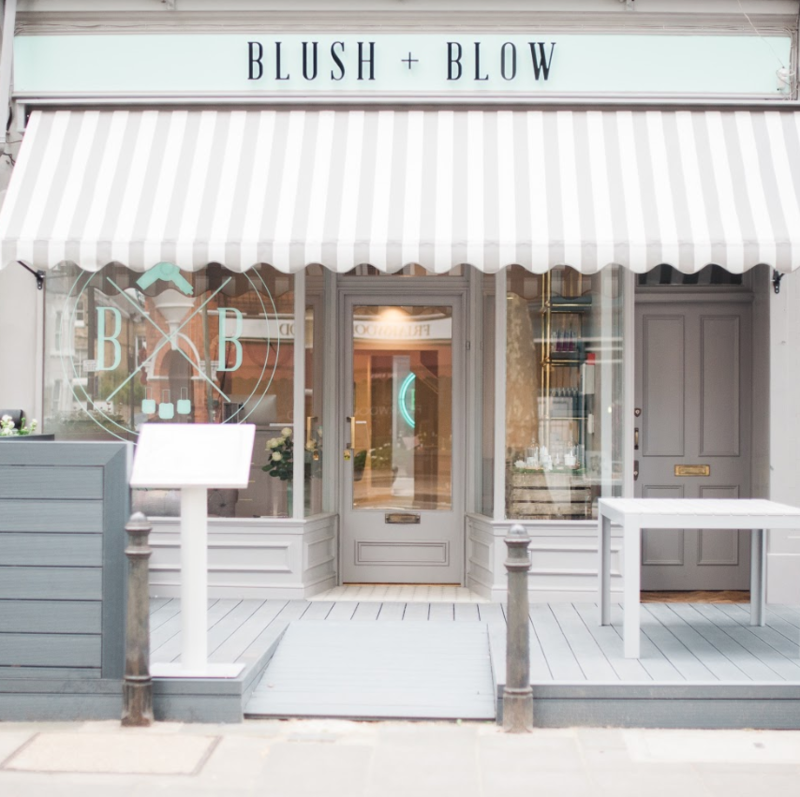 How does Blush + Blow stand out from its competitors within the London salon scene? I think we are unique in that we are a not just a blow dry bar but also a beauty salon. We are reasonably priced and our Blush + Blow Bambino offering means that busy mums can bring their children along knowing that they will be entertained in a safe, fun and friendly environment. 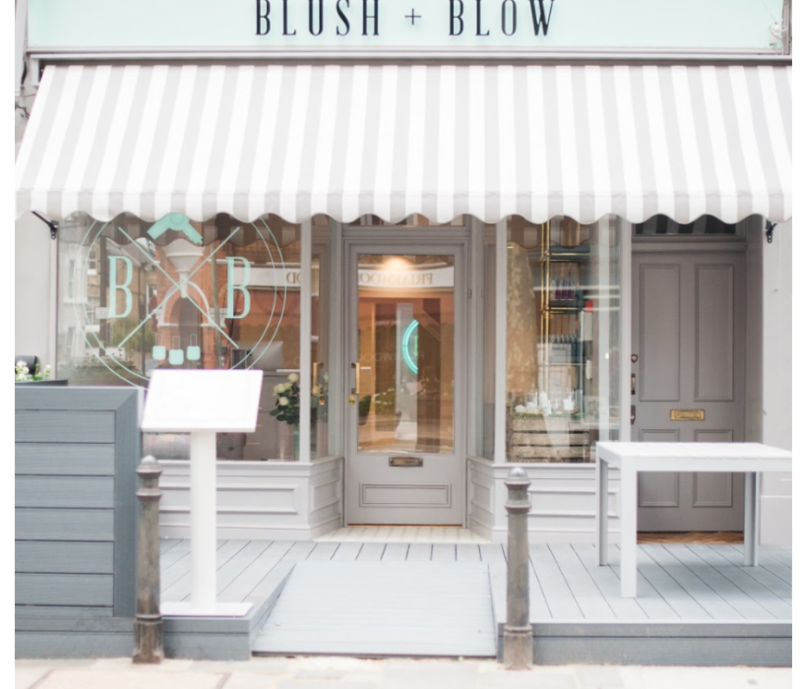 How does Blush + Blow keep up to date with the latest trends within the industry? Instagram means that no one ever has to be left behind with any trends! We are avid ‘grammers and our stylists regularly go on session styling courses with Kevin Murphy. We love experimenting with new products that we are sent for both hair and beauty and as a result we are lucky enough to know all about what is trending. What can we expect from Blush + Blow in 2017 and beyond? Lots of pop-ups in lots of surprising and really fun places. What makes a great experience for a client? Exceed expectations and personalise the experience. Learn how they take their tea, learn the name of their children, and most importantly know how they like their treatments done. We take notes on each and every client. Everything from the name of their dog to their preferred nail colour or stylist. What has been the salon’s greatest achievement to date? We have been so lucky to have had the most phenomenal amount of coverage. 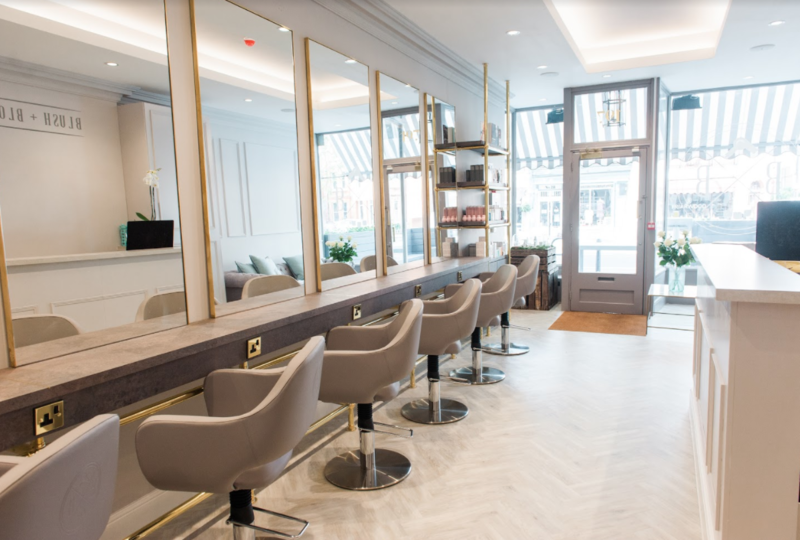 We have featured in the Tatler hair guide, have been voted by Treatwell as one of the top 10 most Instagrammable salons, and the Telegraph has named us one of the best in the UK as a ‘head to toe’ treatment. And all within seven months of opening. I am very proud of the staff, they have achieved all of this and have all worked so hard to get us here. I really do believe that the people who have been involved in the project have been the driving force of Blush + Blow’s success. We started with just six staff members and are now a team of 17 which is incredibly exciting to grow so quickly. The amazing thing, despite growing so quickly, is that the work ethic of all the staff, which is what makes or breaks a business, is like nothing I have ever seen before. It is after all people that make a place. I am so proud to have the best team beside me. What is your most successful service? And why do you think that is? Our blow dries and manicures. I think that this is because we are able to offer a blow dry and mani at the same time sitting comfortably at a mani/blow dry station designed specifically for a girl in a hurry!